We keep seeing proof that the trend of Blu-Ray technology is here to stay. As the popularity grows, sales will go up and prices will go down. This will allow the Blu-Ray technology to continue to penetrate the market. According to High-Def Digest, 3.1 million Blu-Ray discs have sold in the UK since the start of the year…that’s about a 231 percent increase in sales! Their DVD sales, on the other hand, only went down slightly by about 9.5 percent. This week, Best Buy discounted a house brand Blu-Ray player, the Insignia Blu-Ray disc player with 1080p output to only $99.99. 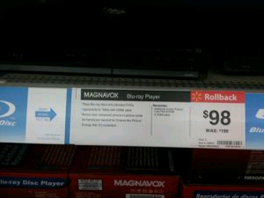 Wal-Mart is also offering a deal under $100 with their Magnavox NB530MGX Blu-Ray player for only $98 as a permanent “rollback” from the previous $168 price. At the same time, online retailer, Amazon, is offering a sale on Blu-Ray discs starting at $14.99 each. 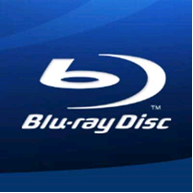 According to NPD Group Inc., Blu-Ray player sales have increased by 72 percent in the first quarter of 2009 in comparison to the first quarter of 2008. With the growing Blu-Ray popularity and the increase in sales, we are starting to see the prices drop for Blu-Ray players and Blu-Ray discs. As this happens, Blu-Ray is starting to become more affordable and available for most everyone.